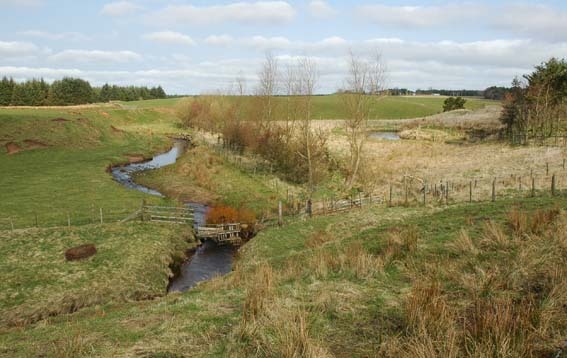 Location is 19 miles South West of Edinburgh, north of the “Lang Whang”, the A70 to Carstairs, on the watershed of the Clyde and Forth river systems and the River Medway flows west forming the northern boundary (image 6). 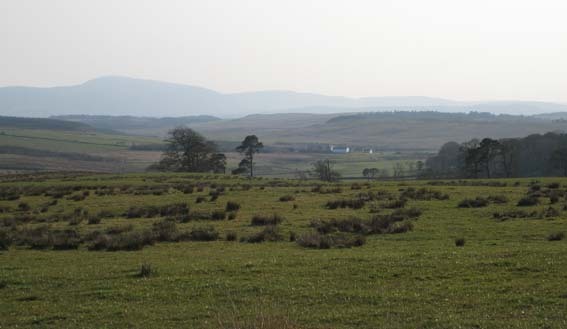 The site has views to Tinto and the Clyde Valley (image 1), hence is exposed to Westerly winds and high rainfall. 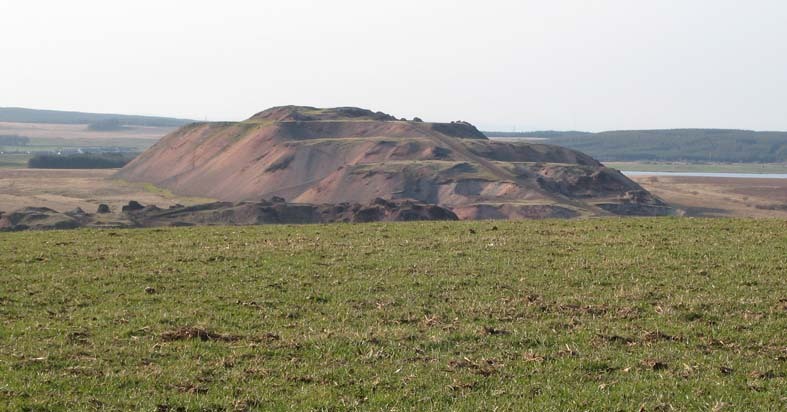 Tarbrax shale Bing lies to the East; a reminder of the area’s carbon based industrial heritage (image 2). 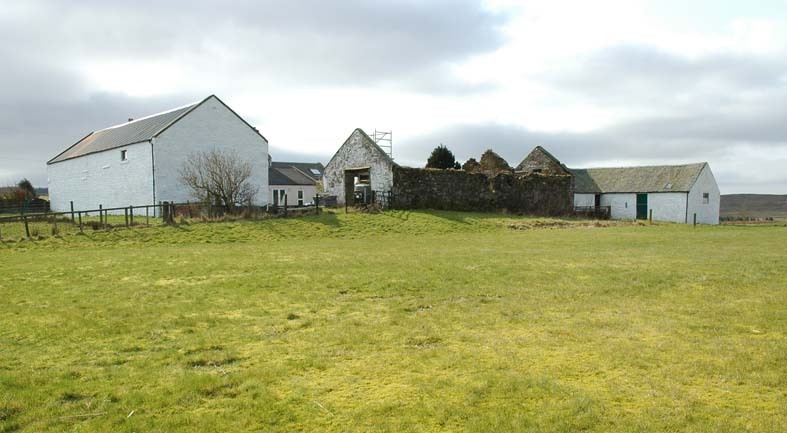 The Farmhouse, forming the Southern side of the Courtyard, has been renovated and the design work focussed on the West and Northern blocks. 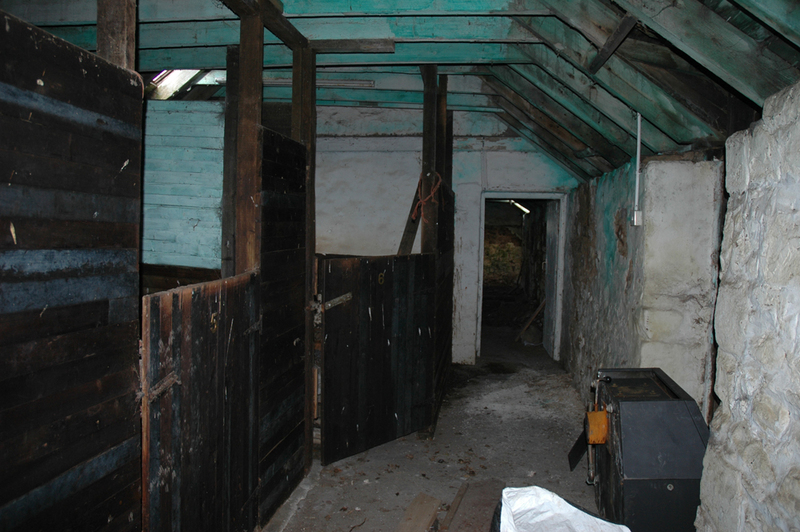 The Western block is a narrow single storey building used as Stable and Byre. 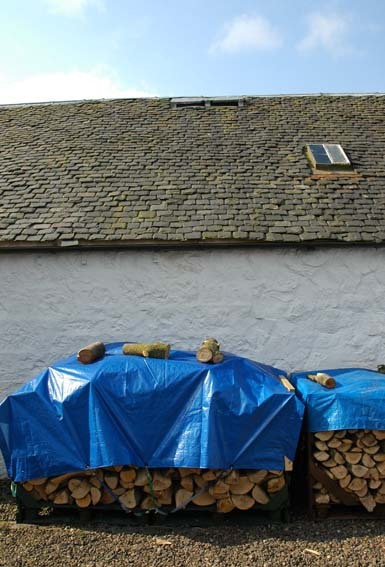 Slating was intact but nail-sick and the stonework rough rubble with evidence of movement (image 9). 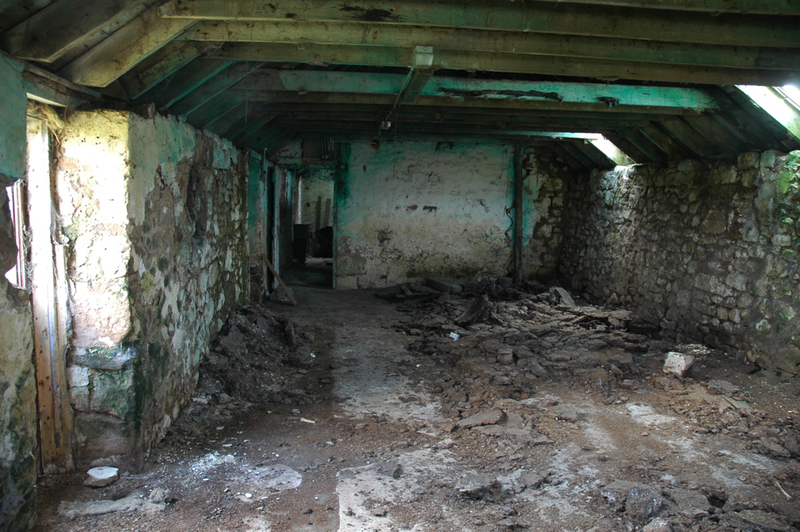 The Northern block is a derelict single or double cottage of stone construction (image 7+10). 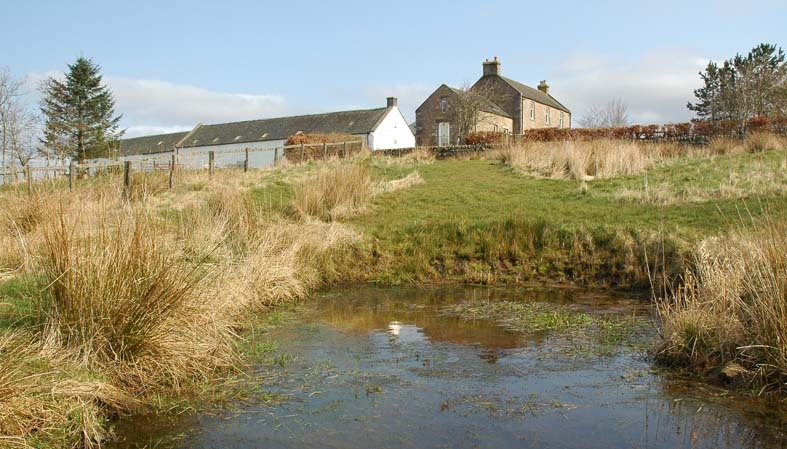 The brief was to consider the entire Steading as a therapeutic residential community; Cars were to be kept out of the courtyard to form a sheltered herb garden. 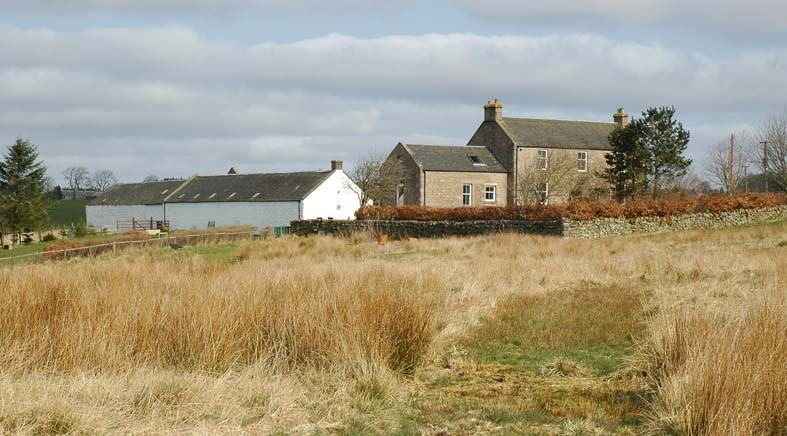 The renovated houses would be let on a long term, or holiday basis. 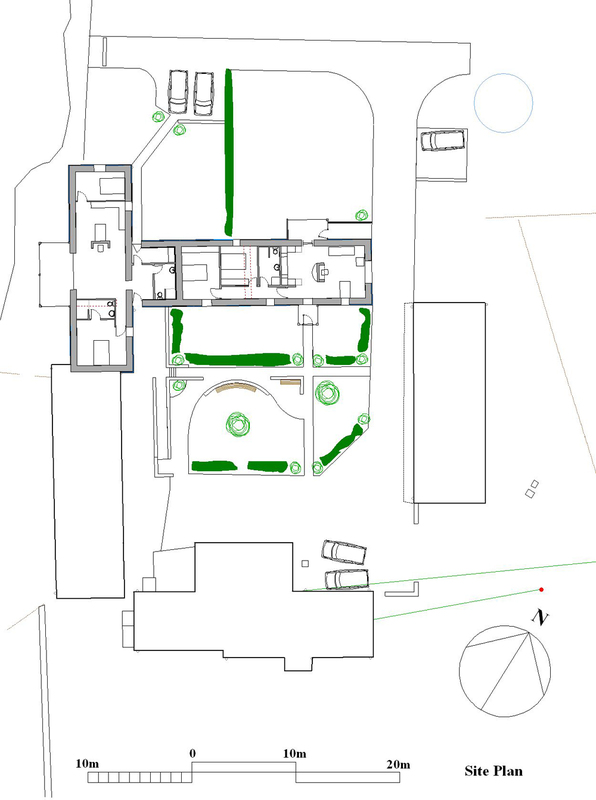 All energy sources were considered and a small scale hydro power plant was a priority. 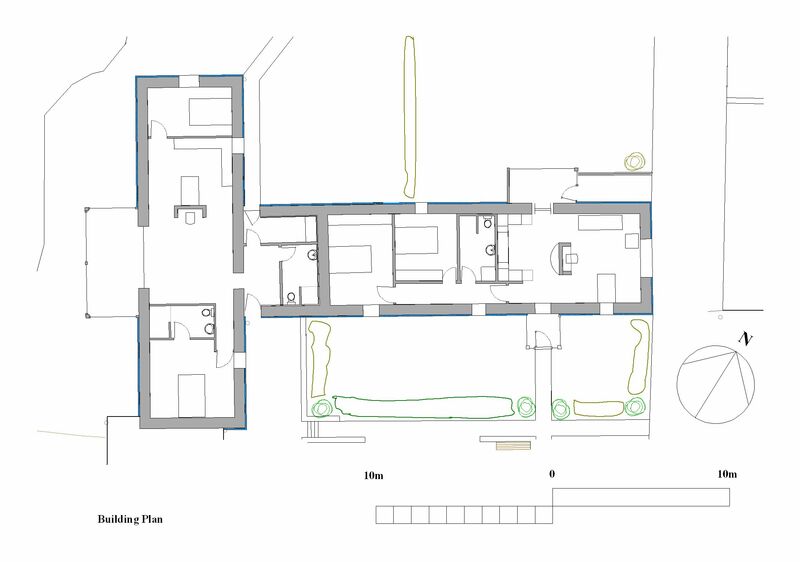 The building width of 4.8m suggested the use of external insulation and the buildings were designed to use the thermal capacity of the stone walls and new concrete floors. 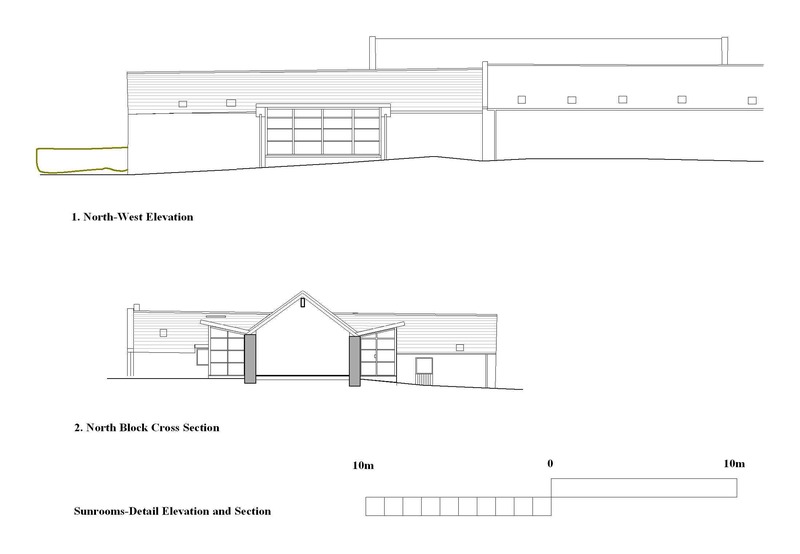 Low ceilings would be replaced by a high sloping ceiling supported by Ridge Beams. 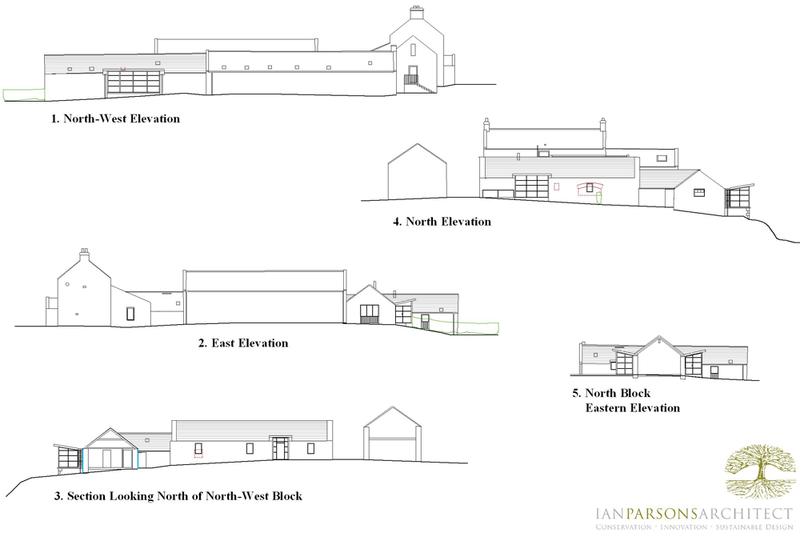 The addition of mono-pitched roofed and fully glazed sunrooms would create areas of delight, and net heat gain to compensate for the small windows (image 14-proposals).